Last month I was the told wonderful news that one of my best friends had proposed to his girlfriend, who is now his fiance! Definitely time to celebrate! I may have said it before, but one of the things I love so much about the Embellished Events stamp set is how versatile it is as it can be used for so many occasions. 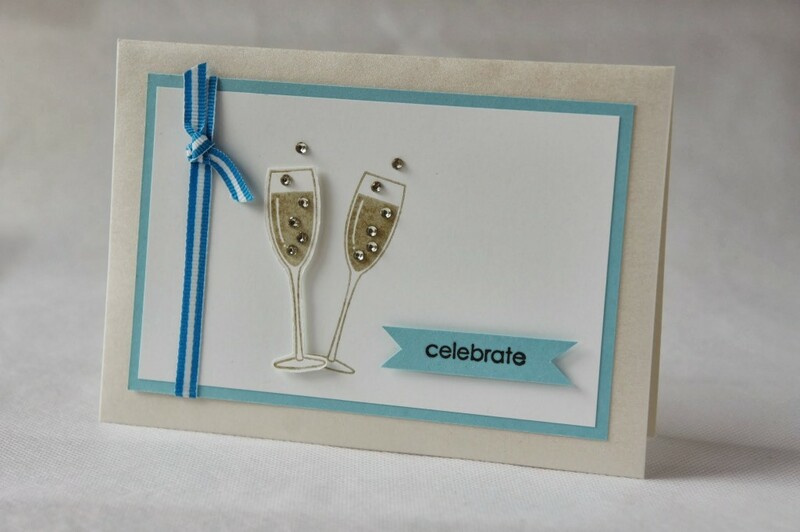 This time I used the champagne glass and the celebrate sentiment and created a card based on a combination of several cards I’d seen on Pinterest. 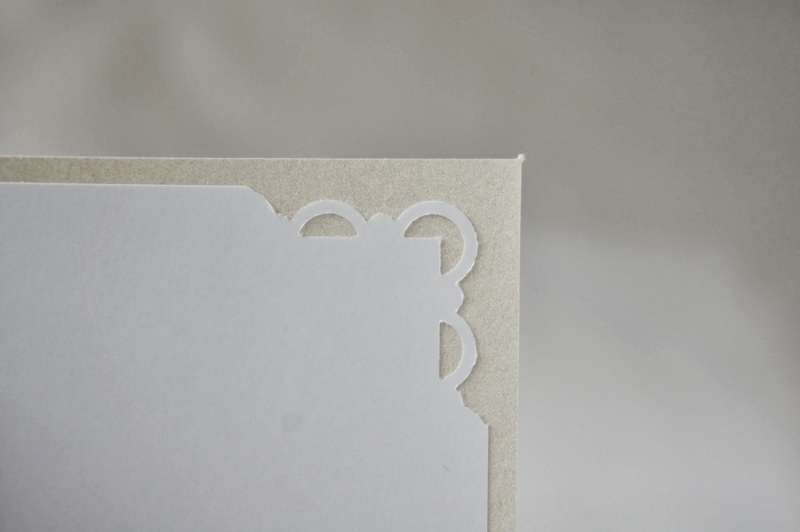 The first champagne glass has been stamped directly onto the Whisper White cardstock which will form the top layer of the card front, whilst the second champagne glass was stamped onto a scrap piece of cardstock and cut out. 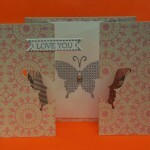 It has then been layered over the first glass using Stampin’ Dimensionals. 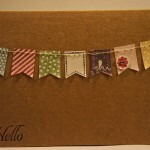 The Embellished Events stamp set is so named because it coordinates with a variety of embellishments. The Pearl and Rhinestone Basic Jewels work perfectly with the champagne glass and in this case I used the Rhinestone Basic Jewels for each of the bubbles. Similarly to my previous card, I created a banner using the celebrate sentiment, stuck down with Stampin’ Dimensionals to give it some lift, and finished the card off with some ribbon. The card I used was a pearlescent cardstock and these often are not the easiest to write onto. Inside the card I added more of the Whisper White cardstock to make writing easier. 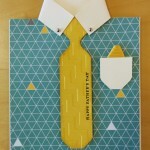 To jazz it up a little bit I punched the bottom two corners of the inside cardstock layer with the Scallop Trim Corner punch which I think gave it some elegance. This border punch is currently in the Clearance Rack and available for only $7.99 while stocks last – which is 60% off – grab a bargain before it’s too late!